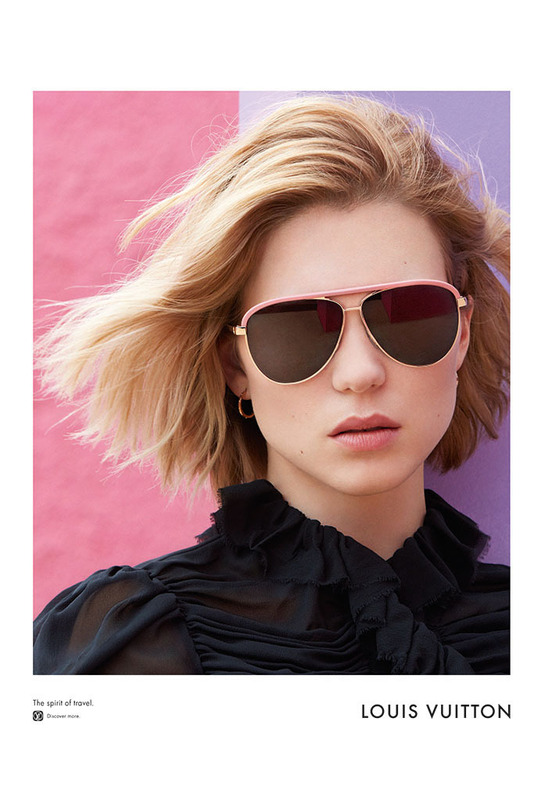 Louis Vuitton unveils Léa Seydoux’s first campaign for the brand, portraying her as a daring, confident heroine who is constantly on the move. Joining the likes of Alicia Vikander, Michelle Williams, Jennifer Connelly and Doona Bae as an ambassador for Vuitton, Seydoux had already made her LV debut at the UNICEF Ball in Los Angeles by accompanying Nicolas Ghesquière. The Spectre actress is captured by Patrick Demarchelier at the colorful, modernist ranch Cuadra San Cristóbal designed by celebrated Mexican architect Luis Barragán. 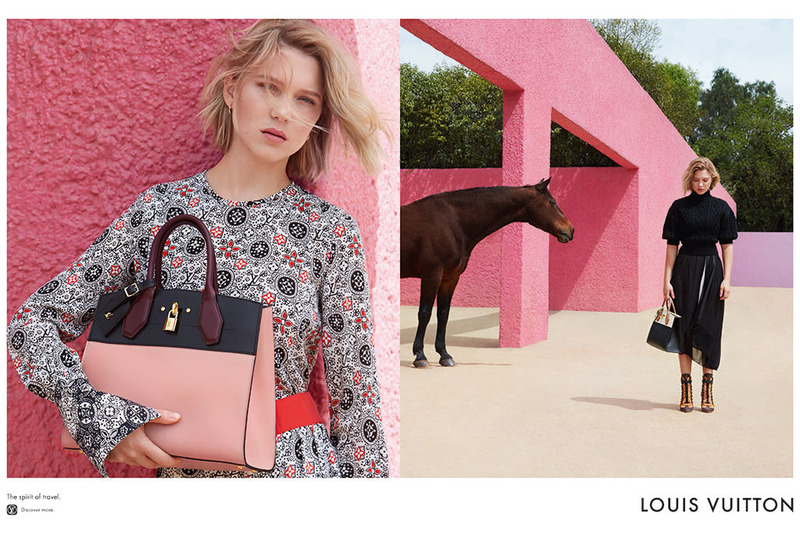 Featuring in one of Vuitton’s travel campaigns, Seydoux is seen cradling Capucines and City Steamer handbags in the images. Clad in creations from the Pre-AW16 collection in ads styled by Marie-Amélie Sauvé, her wind blown hair look is taken care by Paul Hanlon, while Hannah Murray perfected the makeup. WWD also reports that one of the pictures captures a horse peering out behind her from one of the compound’s vivid pink stucco walls.